LOS ANGELES — An amended plan outlining the preliminary steps for the Marina del Rey Harbor to be cleaned of toxic pollutants and help the man-made water venue to achieve high water quality standards was approved Sept. 9 by the State Water Resources Control Board. Based upon new data claiming Marina del Rey Harbor is home to the worst copper pollution amongst California’s marinas, state officials approved an amendment to the Water Quality Control Plan for the Los Angeles Region and established the Total Maximum Daily Load, or TMDL. With potentially adverse impacts on harbor marine life, the approved amended plan would allow state, regional, and county officials to establish a cap on how many pollutants could be permitted to exist within the harbor’s waters. 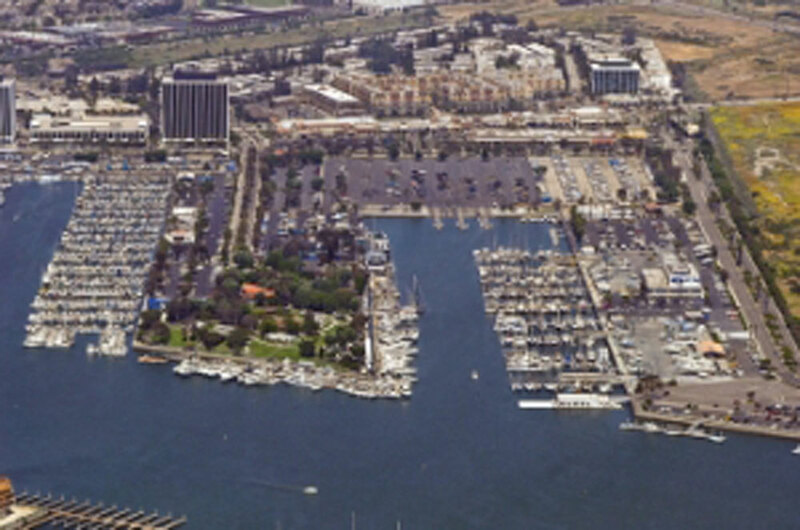 As a result, Marina del Rey Harbor would be regulated to controlling the amounts of seven toxic pollutants found within its waters every day, including lead, zinc copper, chlordane and polychlorinated biphenyls (PCBs), among others. To get below the TMDL threshold, county officials who govern Marina del Rey must significantly reduce the amount of certain toxic pollutants within the harbor. The new TMDL requirements essentially means Marina del Rey boat owners will no longer be allowed to use copper-based paint on their respective hulls. Under the new TMDL requirement, Los Angeles County officials, boat owners, and individual anchorages must address the source of copper pollution during the next 10 years. Carol Baker of the Los Angeles County Department of Beaches and Harbors said achieving the TMDL goals within 10 years is easier said than done. With about 4,700 vessels in the Marina del Rey Harbor, Baker said it would take at least 30 years for the waterfront’s two boatyards to service every single boat that needs to change its respective hull paint to become compliant with the new TMDL requirements. “The timeline is unrealistic in terms of boaters being able to change their hull paint to non-copper-based paint,” Baker said. Mike Leneman, a former oceanography professor who also experience in building and racing boats, said the state’s new policy requiring reductions in copper use with the marina unfairly applies to recreational boaters and not larger boats operated by the military that possibly emit large amount of copper into the water. Leneman, who has a boat in Marina del Rey, added he recalls when the harbor was built in the 1960s and is not sure whether a TMDL requirement is necessary. On that note, Baker said that the basin of the harbor has never been dredged and it could cost millions of dollars to clean out illegal high levels of sentiment. Just how much cleaning needs to be done is not yet known, Baker added, as officials still need to conduct studies of the water’s condition. “It is the largest recreational marina in the United States and [dredging] could be quite costly,” Baker said. “These pollutants are toxic to marine life and birds. Several of them are carcinogens that impact humans who consume contaminated fish,” the State Water Resources Control Board said in a statement. Specifically, the State Water Resources Control Board cited tests conducted in the Marina del Rey Harbor to demonstrate the impacts of its water’s apparently high toxicity. The results, according to the state board, demonstrated the harbor water, which possibly included unsafe levels of copper, would have a domino effect on the food chain. “These toxic impacts to smaller animals at the bottom of the food chain affect other species in the harbor and in the adjacent ocean,” a State Water Resources Control Board statement said, adding the high level of copper probably results from boat owners using copper-based antifouling paint applied to the bottom of their respective boats to prevent organism from growing on the hulls.